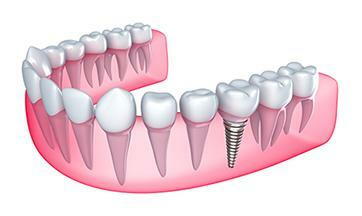 Only patients who have generally good dental health can get dental implants. The viable bone tissue is needed to ensure that the implants will stay rooted. That’s why it’s important to see a dentist for a tooth implant as early as possible. In some cases, a bone grafting procedure can help improve a patient’s chances of having a dental implant integrate successfully.